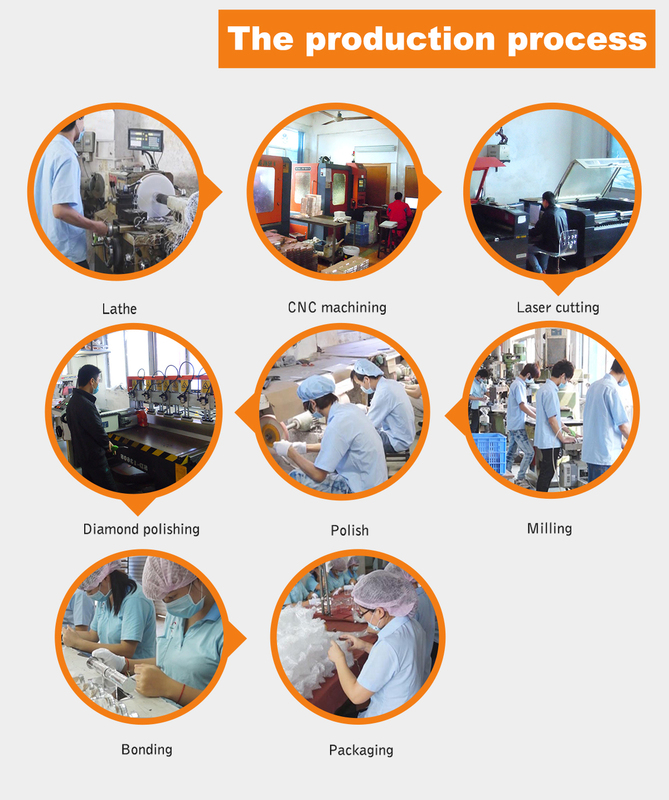 We own a total area of 4300 square meters and advanced production equipment, 20 professional technologists who have more than 20 years experience in this area, and we have more than 150 workers. Our Company, Wenmei Acrylic Product Co.,Ltd, is located in Dongguan city, Guangdong Province, Where it shares the convenient communication route. We are the manufacturer which is compatible with the developing, designing, manufacturing and selling of the acrylic and crystal products. 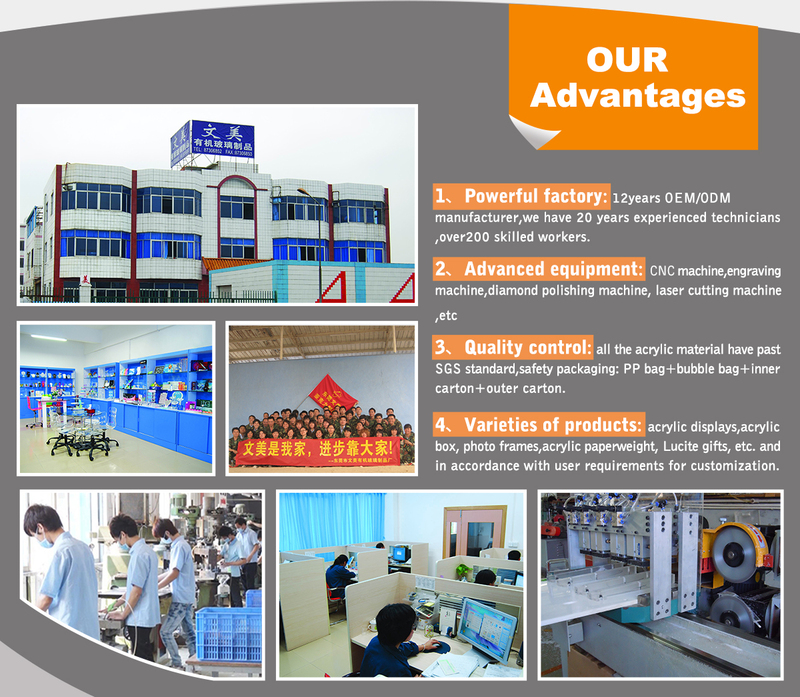 We own the abundant manufacturing ability and the rich experience in this area: For one thing, it is our honor to own 4 professional technologists who have more than 20 years experience in this area, for another, we share the good manufacturing condition with 5800 m2 factory area, more than 200 workers. 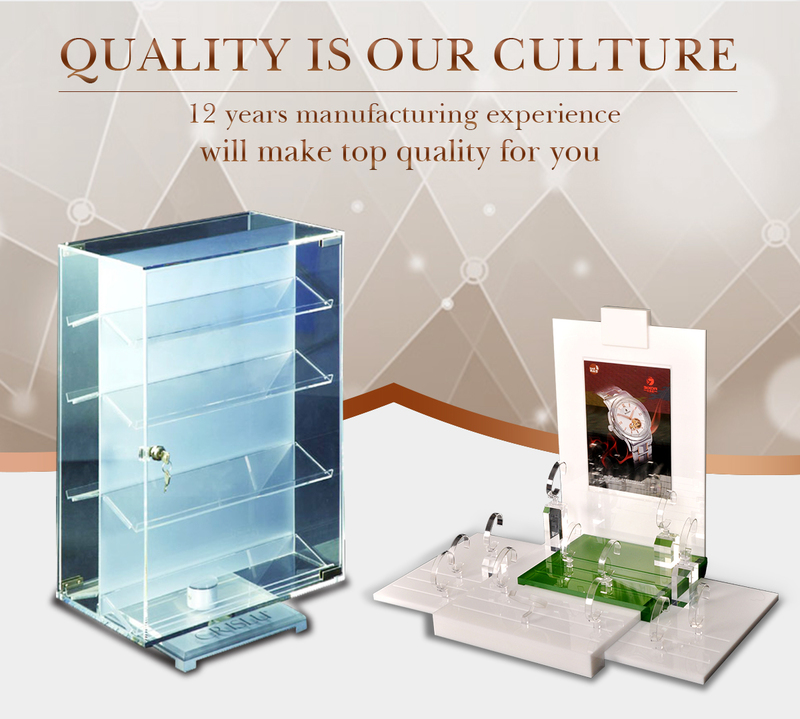 We mainly manufacture: jewellery display series, cosmetic display series, housing series, merchandise display (display cabinet) series, stationary series, medal series and so on. We are one of the best suppliers for the acrylic product in China; for we have the strong manufacturing hardware which are exported from abroad, such as CNC machine, laser cutting machine, diamond-polishing machine, milling machine, lathe machine and so forth. Our products are mainly exported to the developed countries such as United Kingdom, France, Germany, United States, Canada, Australia, The United Arab Emirates, Japan and so on, and are welcomed and praised by our clients. We stick to the principle of 'QUALITY FIRST, PRESTIGE FIRST'and 'LOW COST, HIGH QUALITY'; we will do our ultimate to do everything well and assure you that your choice is right.